Pop Quiz has a wonderful range that will fit all the needs of your loved ones unique education! The Pop Quiz Mini Album is a must have! When I saw the mini album from the Pop Quiz collection I immediately thought of my niece who will be going into her last year of Junior High School. 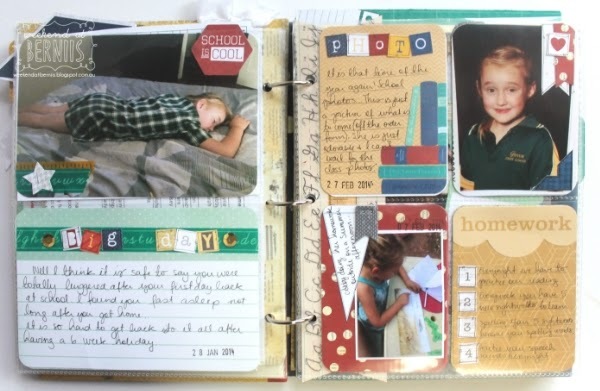 I wanted to make a fun book for her to collect photos and memories of her school year. 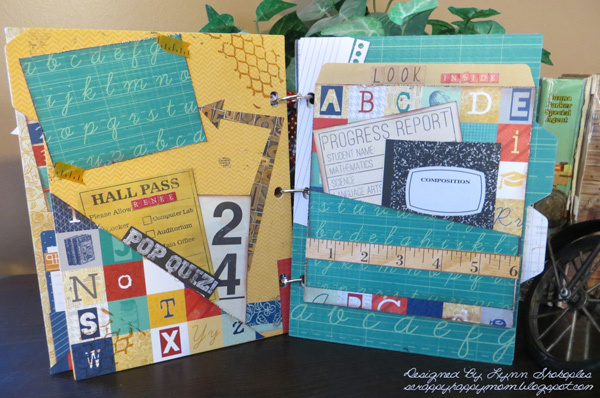 I had fun with the 6x6 paper pad and all the fun stickers and elements. I left room for her photos and pockets for memorabilia. I loved all the cards on the patterned paper. They were perfect for the pockets and to back photos. The rest of the pages from the album are on my blog if you would like to stop by. 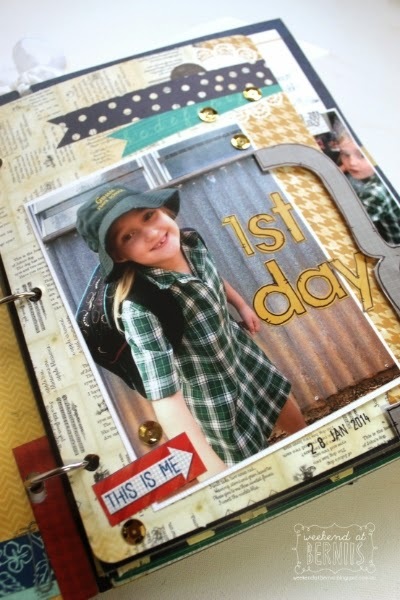 What is not love about a mini album that can be used through out the year to capture your child's year at school! 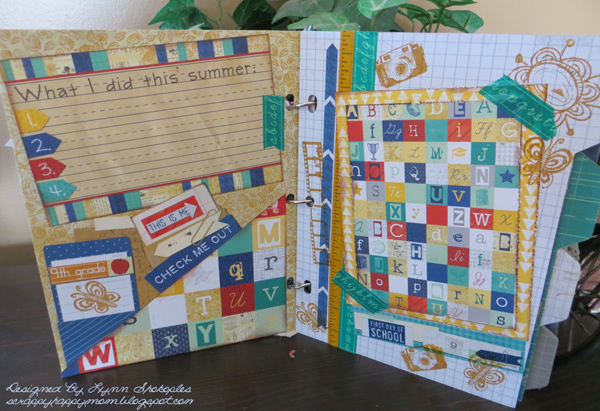 Especially when it looks like a totally cool composition book!! 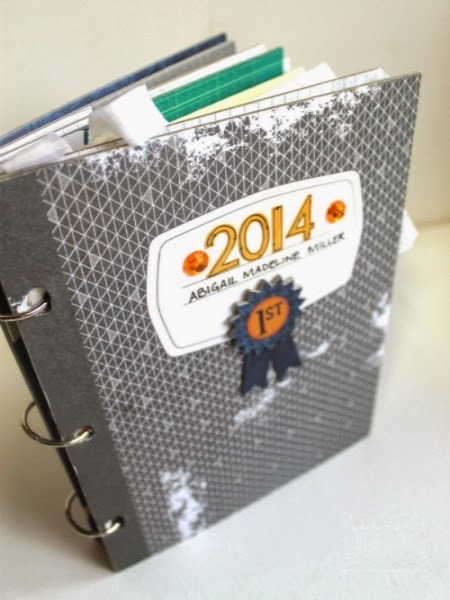 I decided right away that I was going to use this album as a " work in progress" album for the whole year to capture my daughters year at school, to have one place to collect the awards, paintings , drawings and newsletters for the year. I designed the album into 4 sections using the tabbed dividers that are the foundation to the album. I divided it into 4 areas to represent the 4 schooling terms to the year. Then within each section I have added some Misc Me plastic photo sleeves and the awesome envelopes which will house a selection of my daughters school work through out the year. 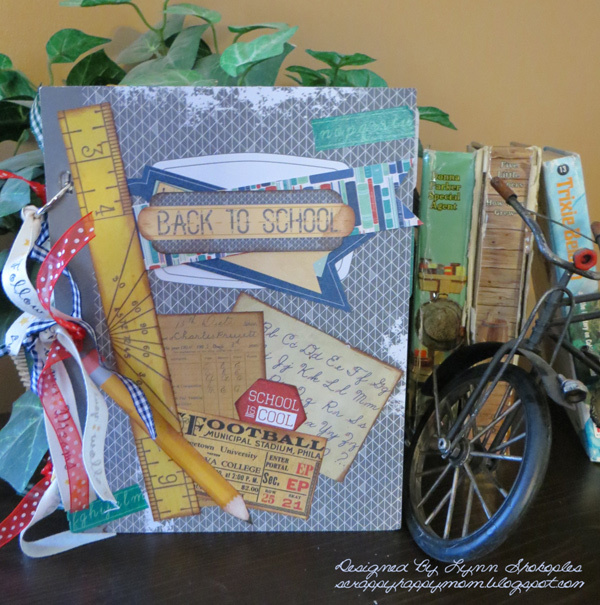 I can not tell you enough how excited I am about capturing this year of schooling using this adorable mini album. 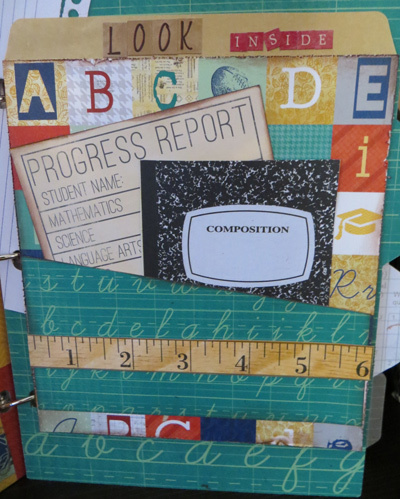 I integrated into the chipboard album, lots of bits and pieces that are found through out the BoBunny Misc Me range. This way I was able to personalise the album to suit the schooling year ahead. 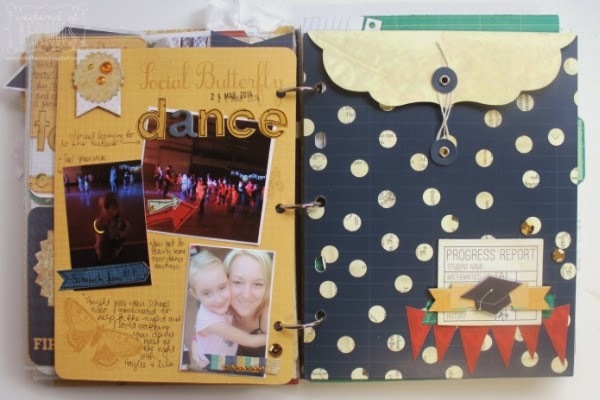 I added in a combination of the Misc me page protectors and used the Pop Quiz Journal box set through out the album . I even used the large cards from the pack as pages just like in the photo below. I added an envelope to each term of the year and can not wait to fill it will gorgeous work from my daughter. 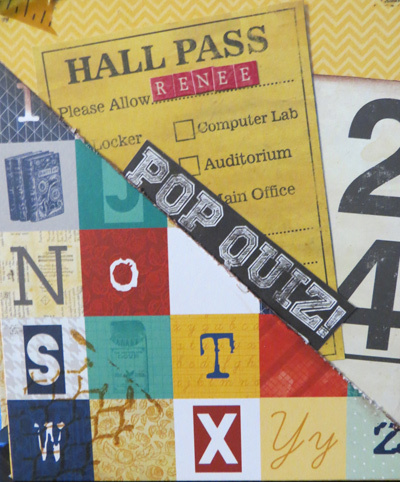 I added a little cluster of cute embellishments using the layered chipboard pieces and a hand cut banner. Awesome job on these albums ladies!